With fall in full effect, winter is just around the corner. And as every Milwaukee homeowner knows, winter means below-freezing temperatures that can have a major impact on your home. A little bit of winter home care now can ensure your household has a warm, cozy winter. Read on for six fall home maintenance tips to help you get ready for winter. Cold weather means cozying up to a warm, crackling fireplace. But if you haven’t cleaned your chimney as of late, dangerous buildup can transform your winter wonderland into a deadly situation. Carbon monoxide poisoning claims 4,000 lives each year, so a quick inspection now could save your life. Take a flashlight and check the walls and flue for buildup. Soot, rust, and creosote all stick to walls easily. Aside from increasing the chances of carbon monoxide poisoning, their presence can affect allergies and cause illnesses. Homeowners should inspect their furnaces as well, changing out the filter and looking for any signs of damage. Even small cracks near doors and windows can drive up heating costs by hundreds of dollars each year. Walk around your home and carefully inspect each window and door, looking for cracks or damage. While caulk can remedy most cracks, we’d be more than happy to replace your windows if the damage is extensive. Though many people regard cleaning their gutters as a chore, it serves an important purpose. Aside from directing rainwater and debris away from your home, gutters prevent water from seeping into your home’s walls and eroding your house’s foundation. As a result, seasonal gutter cleaning is an absolute must—even if it isn’t the most fun activity. Follow our guide to learn basic gutter cleaning safety precautions and tips to help you knock out this winter home care task in no time. Like tiny cracks in windows and doors, damaged insulation can result in higher heating costs. Grab a flashlight, a face mask, and gloves, then check out your attic’s insulation and venting. Floor-level insulation should be level with your roof’s support boards. Check Energy Star standards to learn more about your home’s insulation needs. When temperatures dip below freezing, unprotected piping becomes vulnerable. Supply pipes can freeze or shatter, leaving you with thousands of dollars in water damage. Wrap foam insulation around any exposed piping for an affordable-yet-effective prevention method. Finally, inspect your roof for damage and missing shingles. Moisture buildup from snowfall can cause your roof to crack, allowing cold air into your home and facilitating mold growth. If your roof is in bad shape, don’t hesitate to get in touch. 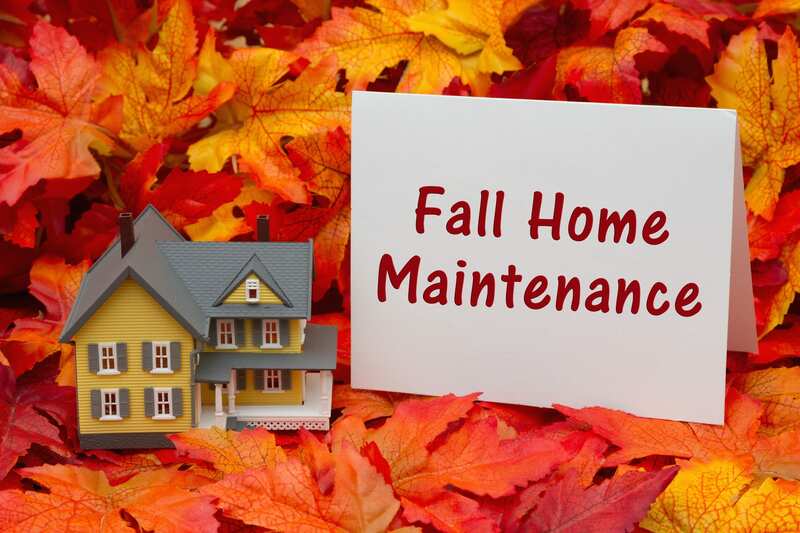 If you’d like some help knocking out your fall home maintenance chores, don’t hesitate to get in touch or request an estimate. We’d be more than happy to help you get your home ready for the long winter ahead.